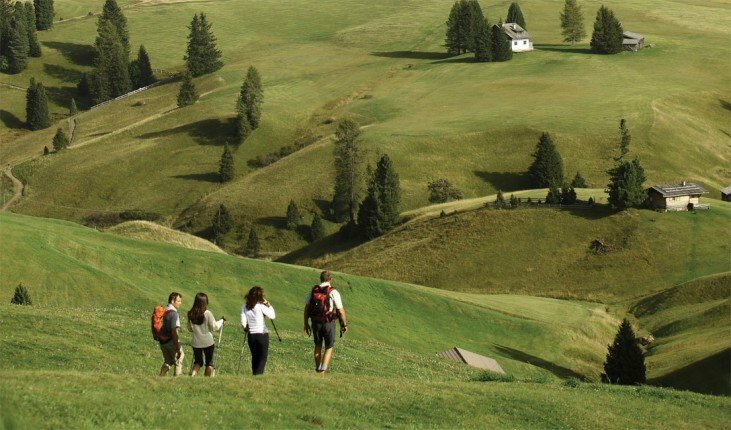 Hiking on the Alpe di Siusi is in the truest sense of the word a fantastic experience not only for mountaineering enthusiasts – the charming landscape of the largest mountain plateau in Europe attracts nature lovers, ramblers and Nordic walkers. But also other outdoor sportsmen have discovered the Alpe di Siusi! Especially mountain bikers and climbers appreciated the diverse and impressive mountain scenery the Alpe di Siusi has to offer. The beautiful mountain restaurant Nordic Ski Center in front of the mountain station is the ideal setting for planning a nature adventure in the mountains while sipping a refreshing drink. The majority of our guests, however, come and visit us after their beautiful day in nature, to relax in a cosy atmosphere, to regain energy and of course to remember the wonderful experiences of the day. There’s much more than hiking on the Alpe di Siusi – Exploring the spectacular mountain scenery is possible also on a mountain bike. A dense network of well-marked bike paths runs across the pastures and takes bikers through lush meadows, scented mixed forests and also high up on the lofty mountain giants, which watch over the Alpe di Siusi. Also climbers will find fantastic conditions here. Alone Mount Sciliar offers mountain tours and steep walls that will meet all demands. 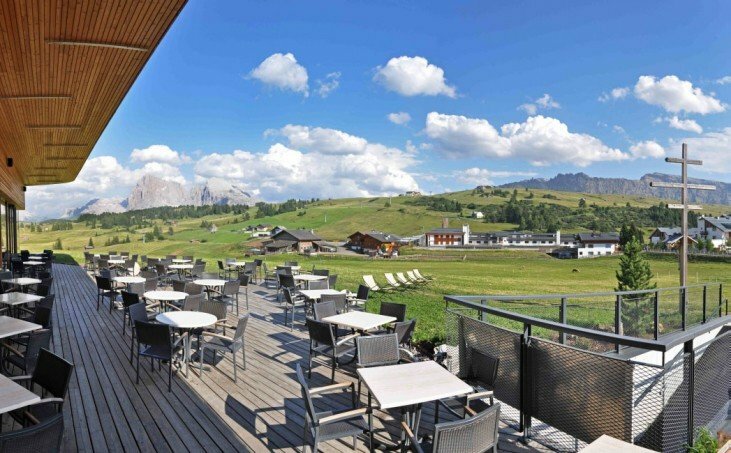 And after a brilliant day, the restaurant on the Alpe di Siusi awaits you with delicious food and refreshing drinks. After an active day full of fabulous natural attractions, there is nothing better than to sit down in a cosy restaurant and enjoy tasty delicacies and refreshing drinks. And while your eyes wander across stunning mountain scenery, you can lean back on the large sun terrace and enjoy a great end of a perfect day. 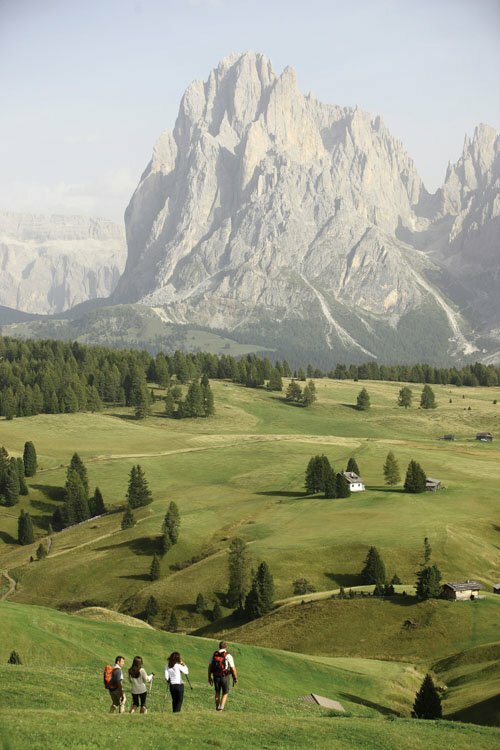 We look forward to offer you all this – so see you soon and enjoy hiking on the Alpe di Siusi!